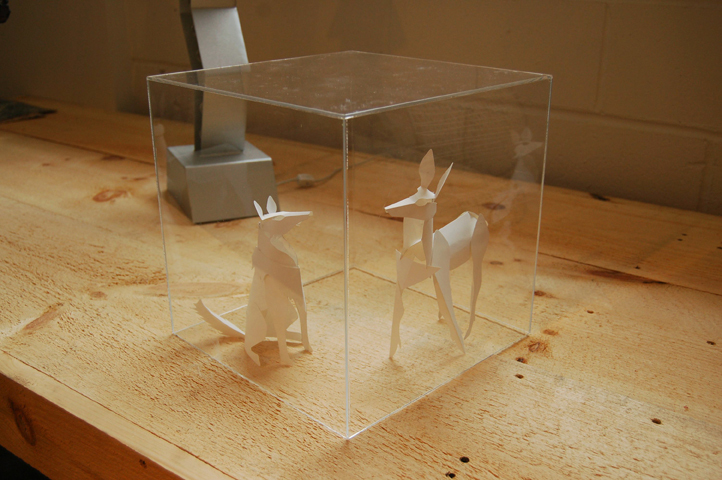 A maquette means a model, a small version of a sculpture meant to show a client what it will look like. Franconia Sculpture Park-- a paradise of sculpture located just outside Taylors Falls, Minnesota, just north of Stillwater-- had the wonderful idea of hosting a maquette show at the Casket Arts building in Northeast Minneapolis for Art a Whirl. These little guys were in it.